It will be the best thing that ever happened to your finance organization. Digital technology is killing your finance organization as you know it. But there is no reason to mourn the loss. Accenture analysis shows that by 2020, cross-functional integrated teams will deliver 80% of traditional finance services. Finance-staff productivity will increase by two to three times. As a bonus, the finance organization’s costs will decline by 40%. Finance is doing things that it never could before, thanks to digital technologies. End-to-end, multi-dimensional data access is enabling total visibility into both enterprise and customer data. The result? The finance organization will evolve from an expense control, spreadsheet-driven accounting and reporting center into a predictive analytics powerhouse that creates business value. Finance 2020 — tomorrow’s digital finance organization — is a radical departure from the status quo. It deals in analytics and forward-looking decisions to create value and manage risk. It shifts traditional accounting and processing to cross-functional, integrated business services models that use robotic process automation. It trades reporting the past for predicting the future. As this model takes hold, the role of the CFO will change. Already in recent years, finance chiefs have become more influential within the business. Seventy-three percent say that their engagement in strategic planning has increased in the last two years. Digital finance will speed the CFO’s evolution from cost authority to business value architect. The Finance 2020 organization will be the go-to source for decision support, delivering analytic insight to drive strategy across economic, market, competitor, and customer perspectives. Yet this future is impossible without big changes to the finance operating model, technology, and people. Analytics competency centers. Analytics “gurus” do more than analyze financials. They assess product, customer, expense, and project trends. Employees, in self-service mode, explore data “in the moment” to understand the financial impact of operational events and decisions. No more relying on finance to do it for them. Integrated business services. These teams deliver complete services to employees, customers, and suppliers across functions. They bundle accounting and transaction processing, today typically performed by finance, with tasks from other business areas. By 2020, according to Accenture estimates, more than 80% of traditional finance services will be delivered by cross-functional teams. Communications and control centers. These centers focus on control, compliance, communications, and risk management. They consolidate the fundamentals of finance — statutory accounting, compliance, tax, treasury, and investor relations. The centers are nimble, responsive, and cost effective, aligning specialized teams around streamlined work processes. One telecom provider is consolidating its fragmented income, property, and sales tax organizations. A digital data warehouse automates most routine tax reporting and compliance. This way, tax professionals can focus on optimizing the tax structure of the organization to better support the business strategy. It is no surprise that the Finance 2020 organization depends on a digital technology backbone. But it is time to re-imagine the role and future of your enterprise resource planning (ERP) system. It’s time to move away from ERP’s legacy historical focus as a largely passive system of record, where siloed data and batch processing delay decision making. This is welcome relief for senior finance executives who point to “complex legacy systems and environment” as their top challenge today. Cloud-based platforms will become the predominant technology for reporting, planning, forecasting, and analytics in the finance organization of the future. Accenture research reveals that 85% of CFOs say they plan to increase their investment in the cloud — while over a third expect the investment to grow by more than 25% in the next two years. Next-generation digital capabilities and a cloud-based layer cut through complexity, augmenting the ERP to free finance from inefficiency. With rich, multi-dimensional data in one place, teams apply advanced analytic toolsets to deliver sophisticated management reporting and business insights. No need to spend precious time with the pre-work of searching endlessly for data and creating spreadsheet models. The use of off-the-shelf cloud solutions in two major consumer products companies is a bellwether of what’s to come in the Finance 2020 organization. In 2013, both companies began using cloud-based planning solutions to support their emerging market businesses. The move was intended as a stopgap measure until investments could be made in a full-scale ERP-based solution. In less than two years, something surprising happened. The value of these cloud-based products was so evident to the business that leadership abandoned the on-premise ERP solution in favor of the cloud for the entire enterprise. The result: reduced complexity, increased productivity, and significant cost savings. Big changes to the finance operating model and enabling technologies require new — and unexpected — hires. By 2020, your most essential talent will not be “finance” talent at all. Leading companies will look beyond CPAs and MBAs to hire statisticians, data scientists, behavioral scientists, economists, and even anthropologists. This will bring new value to the finance profession as a whole, opening up exciting possibilities for what tomorrow’s finance career can be. Transactional tasks will move to integrated business services solutions that use robotics, which will automate or eliminate up to 40% of transaction accounting work by 2020. This shift means that finance staff can spend more time — more than 75% of their time, up from 25% today, according to Accenture analysis — on decision support, predictive analytics, and performance management. The opportunity to trade transactions for value-added tasks is not new, but the tasks that future finance teams will perform will be new. Consider how one of the world’s leading hospitality chains is redefining its finance team, which is on course to being 45% of its peak size by 45%. What’s more, 80% of the team’s time will be dedicated to forward-looking planning and analytics using an advanced digital data platform. Enabled by digital technologies, the future finance organization provides predictive insight into how markets, competitors, and consumers impact the business. Imagine that a retailer cuts the shelf space dedicated to a popular cereal brand in stores across the country. Tomorrow’s finance organization explores how this change impacts consumer preferences, purchasing, competitiveness, and sales. A field dominated by left-brain thinkers now needs right-brain insight. There are already signs of companies thinking differently about their finance hires. A leading African financial institution no longer hires accountants for its finance team. The firm seeks people who can relate to the market and the customer, bringing creative and disruptive points of view to traditional financial analysis to help move the business forward. Define a value proposition. Who are we — and what do we deliver? Articulate how the finance organization will add value to the business in 2020. Develop your future vision. What does a finance organization look like if it is not a transaction processor? There is no one-size-fits-all solution; every organization will have its own mix of new elements powered by a rich digital foundation. Determine the core capabilities. What capabilities are essential to deliver business value — and which can go? Do not be afraid to shed the capabilities that no longer fit with the new identity. Create integrated service offerings. How can customer experiences be improved? The CFO should collaborate with other functional leaders to develop integrated services that can improve the value delivered and lower service-delivery costs. Get the right people in the right place. None of these actions matter if the finance organization does not develop and update the finance talent strategy to ensure that recruiting and training focus on acquiring and developing the right skills. The digital disruption of finance brings competitive advantages for companies that manage it well. At its core, the Finance 2020 organization will continue to protect the integrity of the enterprise and reduce costs. That will never change. What will change is that Finance 2020 will become the value creation center of tomorrow’s digital business. 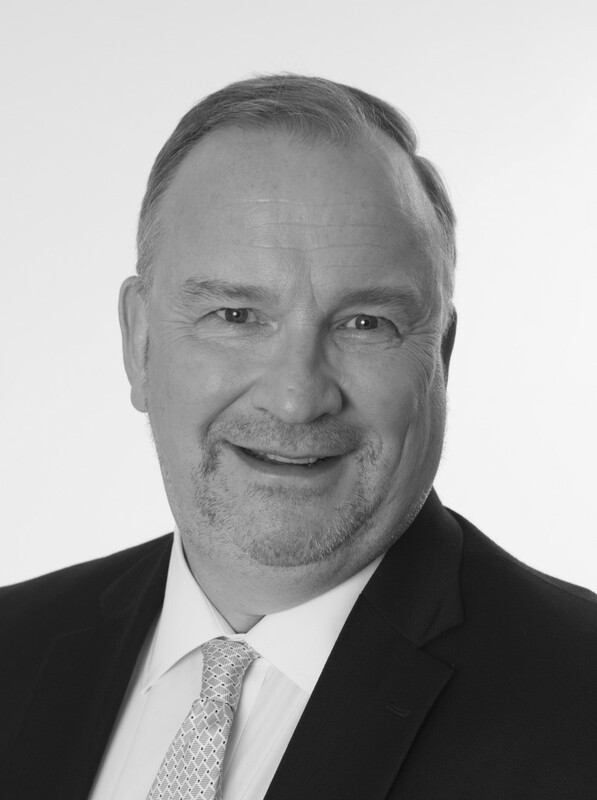 David Axson is a managing director of Accenture’s Strategy, CFO & Enterprise Value practice. Seriously CFO? Here’s the problem with consultants. They never actually have to implement, maintain, or otherwise make their recommendations work in real life. The moment you outsource all that traditional business transaction processing is the moment you now have little to zero control over the composition of all that rich business data. A true finance business partner knows what data analytics are meaningful to the success of their organizations, ensures that necessary data is captured during through their organization’s business transaction processing, and uses appropriate tools for the efficient capturing and reporting of those analytics. Yes, performing basic business transaction processing is boring and tedious, but it is also critical. And as soon as we start acting like the responsibility for it lies somewhere outside finance is the moment the quality of that processing will suffer. We’ve been hearing this for 20+ years now. I agree with Benjamin. Really? I don’t know what to say…….you need people good at numbers with sound business principles’ knowledge to understand business related data in the business and market context…..How Anthropologists will analyze or predict numbers in terms of Yanomama tribe’s culture and context and how that will effect the bottom line numbers is yet to be seen…. …. It is like saying that in future astronomers will be hired as interior designers to expand horizons of interior designing is a very digitized way of thinking which used to be considered dumb. I could not figure out why economy and businesses were not picking up and now realizing that people who trying to paint the future are hurting the present by simply not learning from the past. I believe digitizations is excellent only when governed by human brains well versed in the non digitized knowledge of the same subject matters with years of Human experience not Digital graphs. Sorry, but I can’t invest in this advice. Define ‘productivity’. Reports produced? Accounting staff fired? Hours saved answering the unstructured questions of actual P&L owners? Many companies have already consolidated repetitive tasks into shared centers. But deep, meaningful insights come from finance business partners embedded in a business. And predictive analytics is being oversold. While the tools are improving, we have been analyzing and predicting forever. Sure, the volume of data is going up but I don’t need to bring an animal husbandry statistician on staff to tell me kitty litter is about to make a breakout. Matt, the issue is really that it may be easier to teach an “animal husbandry statistician” how to read a P&L than it is to teach an old-school Finance guy how to use analytic techniques that really optimize how much useful information is extracted from your data. It really depends on the person and the overall team. There are finance types (especially within FP&A) that will transition well to the newer approaches. There are also academics or statisticians that wouldn’t be comfortable in the multi-disciplinary world of analytics. Given the way that Finance typically makes forecast (i.e., guess-timates), there is actually a lot that good statistical approaches (time series analysis / econometrics) can do to improve current practice. Just how comfortable are you with proving that the forecasts that you make have statistical validity and that the source data is not essentially random? Agreed re: the animal husbandry statistician example – to a point. A new-hire in FP&A or in equity research is expected to be able to read a P&L. They need to learn how to go beyond looking at the presented figures for earnings and GM, etc. and determine whether the P&L is reliably constructed. Even further, they need to interpret the underlying story told by the numbers, such as “profit” (an artificial accounting concept). That’s why your example is great – a finance major won’t be able to do this vs. the example candidate you mentioned, not for an employer specializing in animal husbandry. But the above set of skills is not hard to learn, as you mentioned. What is hard to learn (or impossible) is tact, persuasiveness, social skill, emotional IQ, etc. FP&A and equity research professionals need to be negotiators, salespeople, and a host of other roles in order for their findings to be influential when presented to management. Sell-side equity analysts often have experience in nothing but equity research. These guys know their covered companies inside and out. I agree, it depends on the candidate and specifically re: you other points, on that candidates ability to respond to change and to learn. As it so happens, a good financial professional is capable of doing that. I am sure there is some value in here somewhere, but it is hidden under impenetrable consultese. The headline promises more. The point of the article besides scaring the bejesus out of mono disciplinarians is that your days are numbered. If you have a repetitive business function and your are one of those people who refuse to give up your assigned desk, it’s high time to get in the soup line. It is correct that digital transformation has taken off a lot of manual labour of accountants and hence productivity was improved and which will go is way. But I am not understand that without knowing about basics of input output relationships; how can strategics can give meaning solutions or suggestions. I have seen a lot of strategics roles coming in place but only those strategics have been successful; who have hands on experience and fundamental knowledge of risk; returns and P&L. Prototype process pictures can be drawn very easily but many a times these processes are far from realities and results in failures of outsourced vendors or more complications. Without having fundamental knowledge of P&L and cost income relationship; digitisation cannot work. While digitisation everyone should be more than careful otherwise severe complication can arise. As a CPA/MBA who sold her traditional practice some 15 years ago to work in entrepreneurship I found this article encouraging and intriguing. I don’t think the author intended the reader to embrace this as the only future path but to expand the imagination about the changing enterprise. Welcome to Finance2020 – new generation of services! It is really logical framework and strong request of current reality full of instability, crisis, sharp changes, challenges.